There comes a time in a project build when you just have to throw everything out the window and rewrite your storyboard. Over the years we’ve been bolting on parts to Project E36 323is and not seeing the gains we were looking for. Sure it’s been fun but it’s time to make some real power. We had plans for an M50 manifold swap paired with M3 cams, bigger air meter, headers and throttle body but as the old adage goes, there’s no replacement for displacement, so that’s where our journey has taken us. If you’re not a BMW fan boy then some of these engine designations might be a little confusing, so here’s a quick primer on what we’re working with. 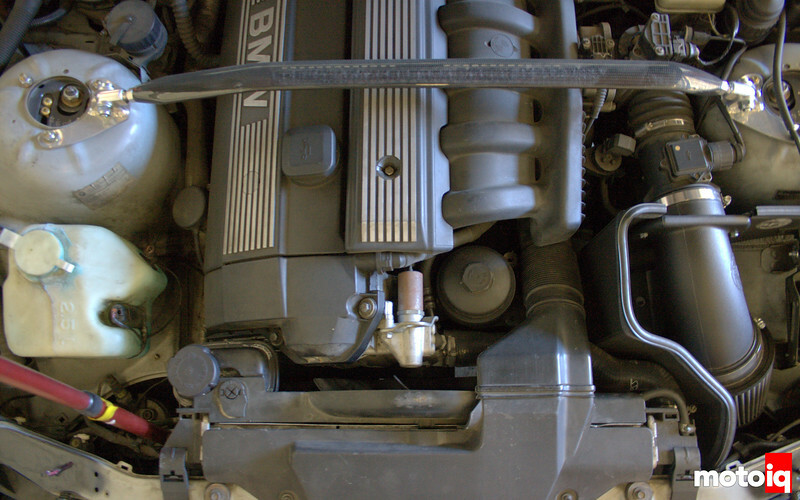 The E36 3-Series BMW’s of the 90’s came with a couple engine configurations, but we’re just going to focus on the 6 cylinder OBD II options; the M52/S52 for the 96-99 models. Here’s where it gets even more confusing, the non-M car engines were designated as the M52 while the M-badged cars got the S52 designation. One would think the M models would get the “M” engines and the standard models would get the “S” but those crazy Bavarians saw it the other way around. Our stock internal 2.5L M52, factory rated at 168hp/181 lb/ft torque… With the upgrades we’ve done; Intake and Software, Corsa Exhaust with M3 mid pipe, we’ve seen an increase of 10hp and 12 lb/ft torque totaling 150whp and 150 lb/ft torque, which all came from the exhaust upgrade… Yawn. Our 2.5L M52 was the smaller of the two 6-cylinder base variants available, while the 328 came with a 2.8L M52 rated at 190hp and 210 lb/ft of torque. The M52 in our Project 323is came from the factory with 168 hp and 181 lb/ft torque, which is enough to make it a fun car but nothing worth bragging about. 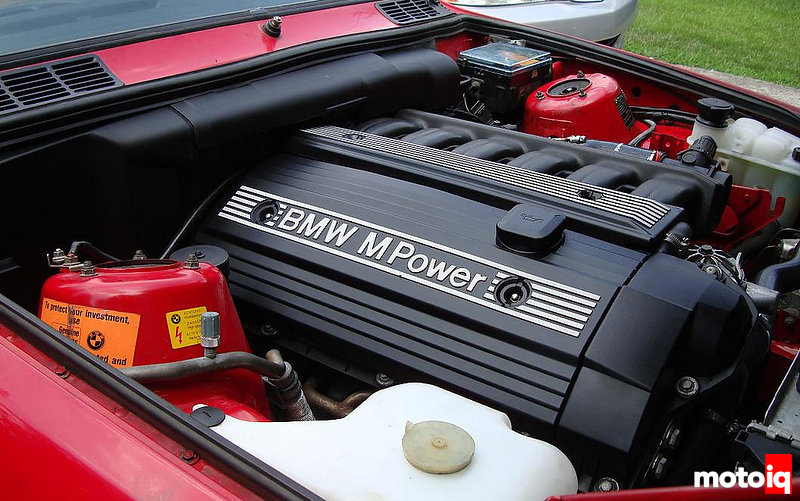 When compared to the 3.2L S52 in the M3, 240hp and 240 lb/ft from the factory, there is definitely a big power gap. Here’s the crazy part of the M52/S52 family of engines, they all use the same iron block and aluminum head. Yes, you read that correctly; the S52 block from the M3 is the same iron block that’s in any of the 6-cylinder 3-Series models, as well as the same aluminum head. So what makes the S52 so much different? Well, they increased the bore from 84mm to 86.4mm and the stroke from 75mm (84mm for the 2.8L) to 89.6mm, giving it 3.2L of displacement. The M3 head gets more aggressive and hollow cam shafts and a different set of valve springs, but the castings are identical. We used this modularity to our advantage. 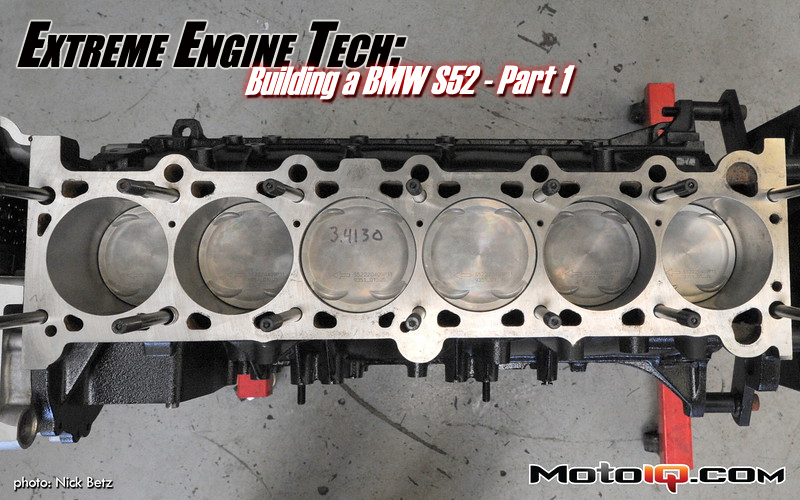 Swapping S52 engines into non-M E36s has been happening for years. This isn’t ground breaking work we’re doing, but, with the help of Pure Performance we’re hoping to end up with something different from what the BMW factory intended. We found this nice example of an S52 swapped E30 BMW on Bimmerforums.com, it belongs to a user by the name of CosmoE36. Our first step in this journey was to get our hands on the parts unique to the S52, which are mainly the crank and cams. After searching the forums for these parts, we came across a full S52 motor that had a blown head gasket due to an overheating incident. We were able to pick up the whole engine for $600 minus the head casting, as it had a crack in one of the combustion chambers. This turned out to be a great deal since we only needed the crank, cams and cam trays. Our used S52 block had some scoring in the cylinders due to the overheating incident so it quickly got sent to the recycle bin. 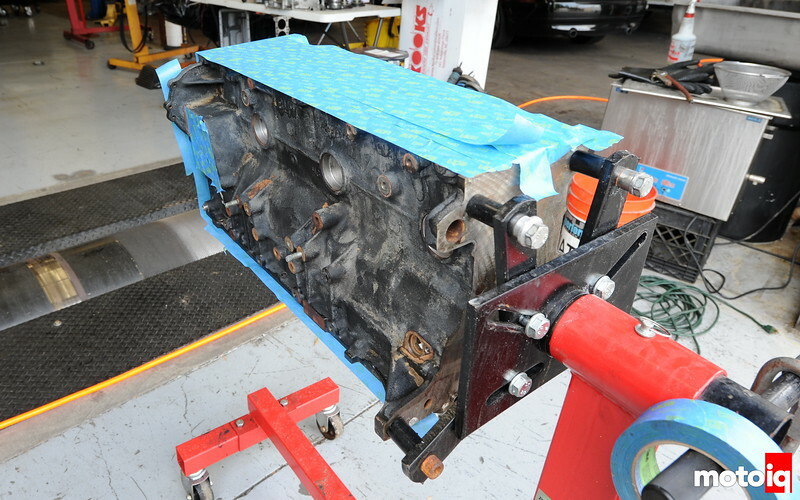 In order to make everything go smoothly, Pure Performance offered up a block in trade for our soon-to-be-homeless M52. Before we got started the block was sent out to get bored, honed and Magnafluxed. AEM Releases GM LS 58x Plug & Play Engine Wiring Harness for Infinity ECU!